The application process has just begun for the 2018 show, so for now, please enjoy this slideshow featuring our all star 2017 lineup! The competition was immense last year, with applications in multiple disciplines coming in from 7 countries, 26 U.S. states, and 7 Canadian provinces. To say that we find these artist to be extremely talented is an understatement! The best seats in the house for this once in a lifetime showcase! 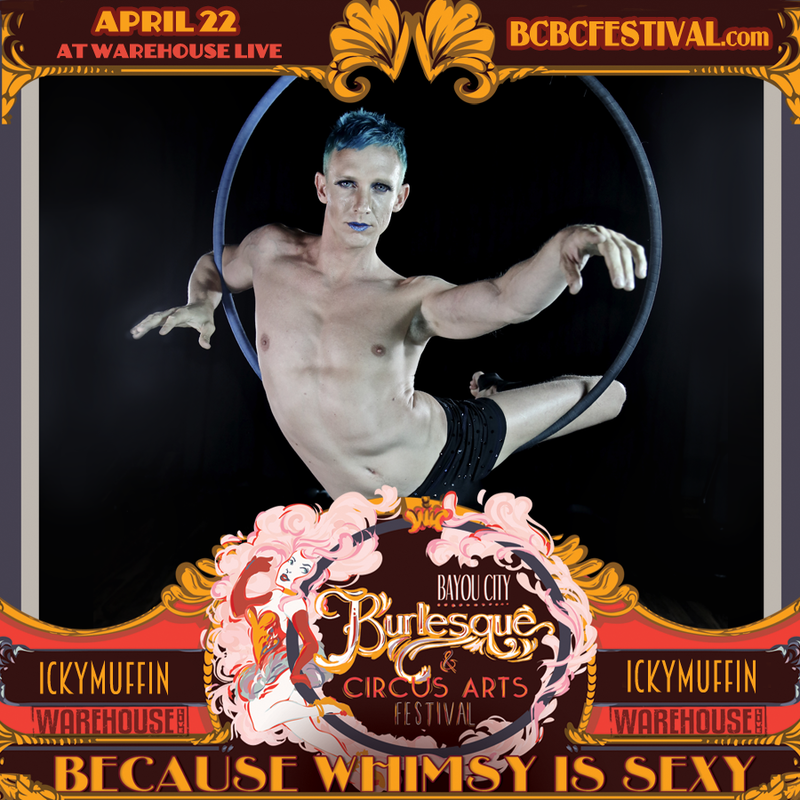 Access to the Performer and VIP-only BCBC After Party, with complimentary cocktail and photo with "The Champagne Diva"
VIP-only sway bag full of stickers, limited-edition prints, buttons and more! Hate standing? This ticket will get you into the hottest show in town! You will be in the 'Seated Section', right behind the VIP section. Standing room ticket to the International Showcase! This includes the big show as well as access to The Bayou Bazaar. Stock up on local art, burlesque costumes, and circus tickets!